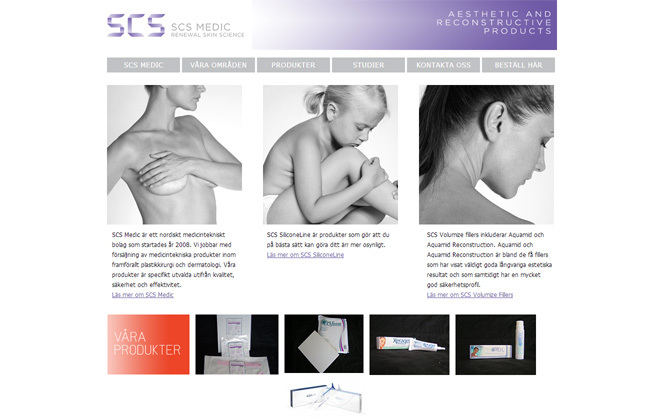 SCS Medic is a Nordic company with its main business in skin renewal treatments. They wanted a modern website with an online form for placing orders on their products. Visit scsmedic.se and have a look.